Lenovo, one of the world’s most leading PC makers, has now entered the Philippine market with its own range of low and medium range phones. Open Communications, Inc., Lenovo Mobile’s distributor in the Philippines, showcased its products to a group of bloggers last October 27, 2011 at Chateau 1771 in Greenbelt 5. Chim Serrano, business unit head of Open Communications, mentioned that their phones are feature-laden, fashionable, well-made, affordable, and will have distinct features that aren’t expected from the phones in their target market segment. A video clip showed Lenovo Mobile’s stringent product quality testing to ensure that their software and hardware will perform well in normal day to day use. Another video clip shown described how Lenovo designs its products to reach and exceed international standards by having a multi-national design team and having actual consumer input during the design stage. After dinner, there was a presentation of the phones and their unique features. 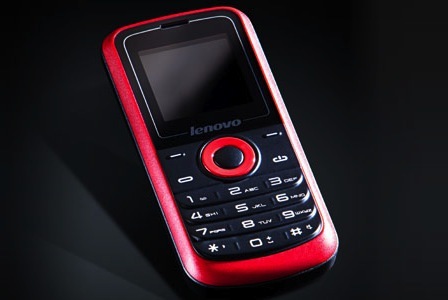 The E156 is a basic phone which comes in either black or black with red. Though it is just a basic phone, it already comes with an MP3 player, FM radio, WAP browser, Call Blacklist, GPRS, MMS and Sound Recording. It also has FM recording capabilities which makes one remember the good old days when you call a radio station to request a song and then record it with a cassette tape. A microSD slot is available for cards with up to 8 GBs capacity for storing one’s MP3 files and recorded FM songs. The Dual-Active SIM feature makes this desirable for those who want to dispose of their second phones but still maintain two active numbers. 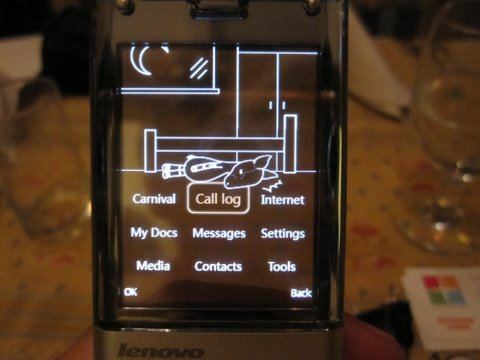 The A336 is Lenovo Mobile’s affordable answer to Sony Ericsson’s Xperia Play. 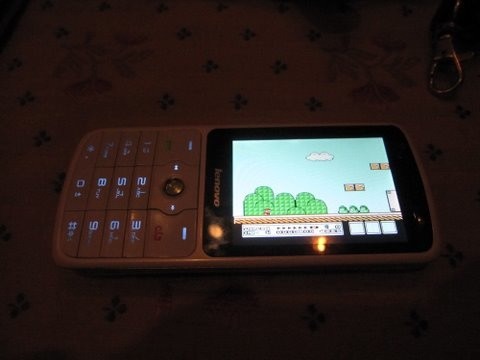 The phone was designed to be a gaming phone by having a built-in game simulator and supports NES ROMs. The limited edition of the phone already comes with 11 games. Dedicated gaming keys (O and X) are there to make playing easier. The phone also supports Voice Call and Sound Recording, Background Effect, Answer Machine, Bluetooth connectivity and Webcam Functionality. Background Effect is Lenovo’s solution to calls that you don’t like to answer or have valid answers when you need them. It simulates realistic background sounds of places like cafes or a train station. It would now be more convincing to say “Sorry, sir, I can’t hear you. I’m at the train station.” And in cases you really can’t answer the call, the phone will answer it for you and record a message from the caller through the Answer Machine feature. No need for extra charges when retrieving messages from your voice mailbox if your phone can do it for you. 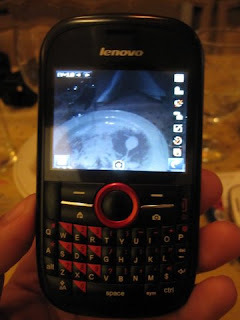 Additionally, Lenovo’s Webcam functionality allows one to use the phones camera to be used as a webcam when connected to a camera. 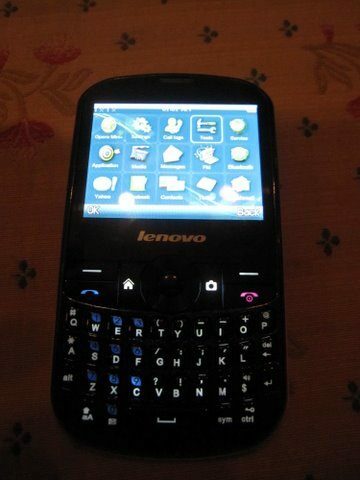 The next phone shown was the Q330 which is a QWERTY phone for those who love to chat, text and e-mail lengthy messages. This phone also supports Dual-Active SIM, microSD cards up to 8GBs, music and video playback, Pushmail, FM with recording, Answer Machine, Bluetooth and Background Sound Effect. The phone is also Internet-capable with the pre-installed Opera Mini Browser, and built-in SNS Apps for Yahoo, Facebook and Twitter. The Q330 is also equipped with a 2 megapixel camera and LED flash. The Q350 is the bigger sibling of the Q330 with upgraded specs. In addition to the Q330’s features, this phone has Webcam functionality, SMS Schedule, Mobile Tracker, WiFi connectivity, and an improved three megapixel camera. The SMS schedule allows text messages to be drafted and automatically sent by the phone at a scheduled time. You will no longer miss birthday greetings, and may even be the first one to greet people consecutively. Mobile Tracker is Lenovo’s anti-theft technology wherein if an unauthorized SIM is placed in the phone, it will send up to five chosen contacts an alert that the phone is stolen. The S800 is the Philippines’ first translucent phone. Though the screen is translucent it is a 262,000 color display. 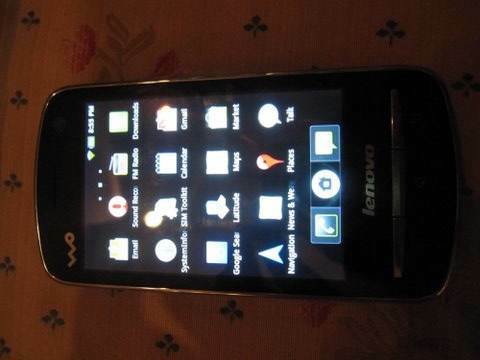 The phone features an accelerometer which is used for detecting the phones orientation. The accelerometer is also used for the Motion Mute Calling feature wherein one only needs to shake the phone to reject calls during meetings and other busy moments. The S800 features Webcam functionality with its 2 megapixel camera, text viewer, video recording, Bluetooth, Answer Machine and Background Sound. The A60 is Lenovo’s Dual Active SIM Android OS phone. 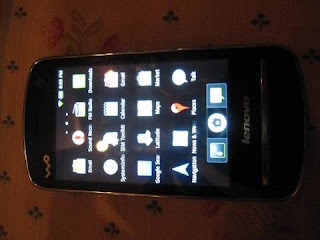 The phone features Android OS v2.3 Gingerbread, 3.5” capacitive multi-touch screen, WiFi and Bluetooth connectivity, 3 megapixel rear-facing camera, VGA front-facing camera, FM radio, GPS navigation, and microSD slot supporting cards up to 16GBs. 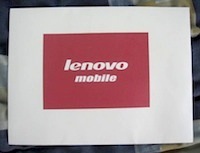 Entering into the crowded mobile phone market will be a big challenge for Lenovo Mobile. 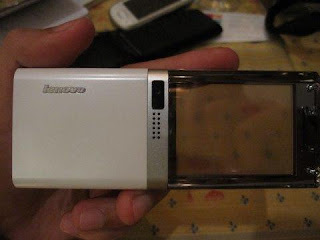 Lenovo Mobile’s advantages are its innovative features like the Webcam functionality, Background Effect and Answer Machine which, hopefully, would be enough to differentiate their product offerings from the rest. The attention to detail and quality that the Lenovo brand is known for would certainly help in selling their mobile phone offerings. Written by: Miguel Antonino Varela, a part-time TechSource contributor covering the local tech scene.